For those who are looking for a witch tale: this book is more of crime adventure police-procedural type of a book rather than the supernatural and witchy. I had downloaded this book many days ago but couldn’t get down to reading it. However, once I started reading it, it was unputdownable! The book takes you on a fast-paced, fun ride through exotic places, dangerous jungles, and the cityscape of Honk Kong, Myanmar, Japan, and also gives you a glimpse of the strife between governments for a profitable business. The story was captivating and felt realistic. Tan, for example, is very much possible in real life. Also, usually fiction stories have smarter protagonist who gets the antagonists in the end…reality is not like that. Sometimes the antagonist in real life may meet with an accident or someone else may kill him and you won’t be able to do anything about it. In real life, a lot of forces are at work, unlike fiction where only the protagonist is at work. I felt this was the strong point of this story, apart from the fast pace and a wonderful guided tour through the far east. However, there were a few negative points as well… First of all, the book is in real need of editing – not just for grammar, but I also thought that the first few chapters were completely cut off from the rest of the story…right till the end. Also, when I was reading those first few chapters which went on for a long while, I kept wondering “where’s the witch?” It felt like a normal crime book… Then entered the witch very late and if it was real life, he would have been real scary. Second negative point is that the book has a lot of far eastern names…not only the number of characters are more, but the writer also mentions the names of hotels, restaurants, docks and places that each of them go to. For those who are not used to such far eastern names, it may feel like quite a cultural shock and they may put the book down. Moreover, it becomes quite difficult to remember the names that are important to keep pace with the story. 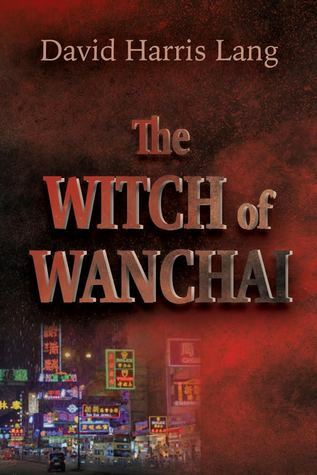 Also, the witch didn’t occupy the whole of the book…he was there only for, say 75% of the book and still it has been named Witch of Wanchai. Also, as a reader I was told that he has risen ranks in the bureaucracy and has become very powerful, but I didn’t see his power much – as a witch or even as a bureaucrat. The story sometimes felt like going on and on. When the witch was identified, i thought the story would end. However, as mentioned before, since the story is realistic, the witch flees to another country and the chase continues. Same is the case with the main antagonist. The ending, however, felt abrupt…maybe the writer wants to write a sequel? Overall, I liked the story but can’t remember many names now. However, I liked the episode between Tony and Tang where nothing goes right… haha. I liked the garuda of that lady detective and her thought about that tattoo. I also liked the various business ideas that in the first few chapters the two boys launch. That was real streetsmartness.